When I first got back into comics I discovered the writing talent of Jeff Parker. I was first introduced to him through an in store appearance at my local comic shop I Like Comics. I bought the first issue of his run on Hulk that day to get it signed, and after reading it I wanted to read some of his other books. 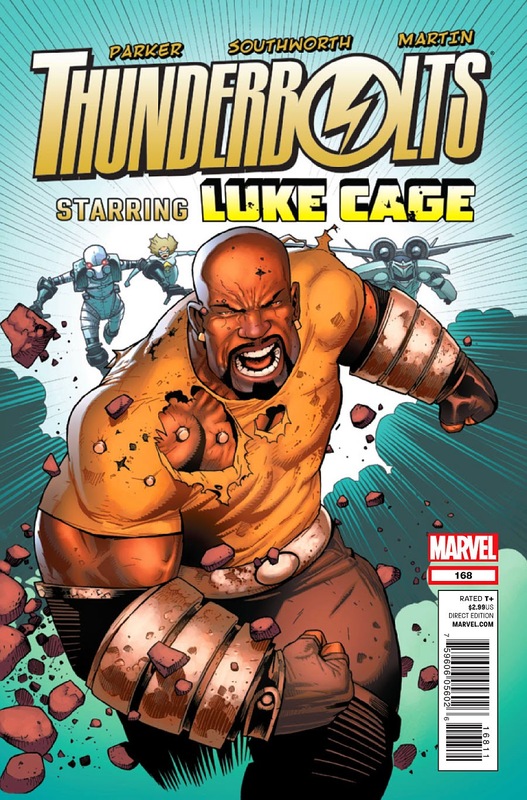 It was an issue of Thunderbolts that sealed the deal though. He created a fun book filled with great relationships within the team and a good sense of humor. I have tried almost every book he has written since that day. It is because of this that I reached out to Jeff Parker to see if he would be willing to do an interview for Once Upon a Longbox. I am honored that he accepted. So here we go, the first installment of creator interviews. Hopefully I will be able to put together more in the future. Teddy McHugh: First of all, let me thank you for agreeing to do this interview for Once Upon A Longbox. It means a lot. You have been in the comics industry for a while now, and I know you worked in story-boarding before comics. How did you make the jump between story-boarding and comics? Jeff Parker: Really I started in comics as an artist, and then went into animation and storyboards, then came back to comics. I really never stopped doing comics, but drawing boards was the day job for a few years. When the comics industry had shrank about as small as it could get without forming a black hole in the late 90s, I did a storyboard finishing test for Sony Animation, and got accepted to work on the Big Guy and Rusty cartoon. During that I started learning how to do storyboards, on the job. I kept working on The Interman, an adventure gn I released in 2003, which is what led to people asking me to write. Doing all the boards for commercials, videos and small films really influenced my comics work, I became more focused on how a scene can build and have a life its own. McHugh: Your experience in animation can really be seen in you comics work. So what was the first book you worked on when you came back into comics? Parker: I still did an occasional comics job during that, like a couple issues of Robin I drew. After The Interman came out I think I drew an issue of Batgirl, then did some Dark Horse stuff. I wrote and drew a story in The Escapist comic, I remember that. And then around that time Mark Paniccia at Marvel asked if I wanted to work on the newly revamped Marvel Adventures line, and my first work there was an issue of Spider-Man as the writer. That went over well, so when the writer on the MA Fantastic Four book had to drop out for some reason, they asked me to take on that, so FF was my first regular writing work. McHugh: So you really got to work on some bigger characters early into your return to comics. The Marvel Adventures line must have been a really great Starting point for getting your name out there with Marvel. You and Gabe Hardman have really done some great work together, just look at the runs you two did on books like Agents of Atlas and Hulk. Why do you feel you and Hardman work so well together? Parker: The best thing about that book line was the main requirement, that all issues had to be done in one stories, there couldn’t be continuity from one to another, so any kid who got an issue wasn’t lost with the story. That helped me REALLY learn how to end a story, when by page 22 everything had to be resolved and satisfying. I wish there were still a comics line like that and new writers required to go through it before they write monthlies, it would really prepare them. I always love working with Hardman. He’s such a pro about making a story work on its own terms, he’s one of the best I know for doing what it takes to sell a scene or a moment. Probably because he doesn’t have to worry about achieving the image on a technical level, he’s way beyond that point- it’s going to be a well composed and executed drawing, and most people are just trying to make that happen. He’s considering what will best get across the story beat to the reader. Gabe talks a lot about ‘putting the camera where the story is’ when he describes this stuff, but as simple as that sounds I think it’s over a lot of people’s heads. We have a certain Venn diagram overlap of stuff that we both are into and I try my best to stay in that zone to keep him interested. It’s tough sometimes because it also depends on what project is paying us, but I like to think I can find the intriguing areas in anything. Like I know we both would have rather done more Atlas than move on to the Red Hulk book, it just had more opportunities of material to plumb. But that also forced us to bend that Hulk book into a really different shape than anyone probably expected, to get to the kinds of stories we wanted to do. That’s probably a big key to a good creative team. If they’re too different, nothing clicks and the stories will feel at odds with itself- if they’re too alike you’re going to get a narrow spectrum hitting too many of the same notes. He and I have a good balance for pushing each other to create things neither of us would have done on our own. I would still love to follow up in a larger way with the grounded approach to Batman that we did with that Legends of the Dark Knight story. And with Bettie Breitweiser coloring, of course. McHugh: That Legends of the Dark Knight story you two did was really impressive. You and Hardman really brought Batman back to being a much more believable character. And sometimes I feel that the character of Batman really gets turned into a little too larger than life character. I personally think he works better as a street level character. If you ever do get the chance to continue your take on Batman I would most certainly read it. My co-creator at Once Upon A Longbox was wondering how is writing process for a digital issue different from the writing process for a traditional print comic? More specifically what was the writing process like for the first issue of Batman 66 where there was a more interactive function to the sound effect bubbles? Parker: Before all the extra material, you have to consider the page differently. A digital page, shaped for holding a tablet or a computer screen, is half a print page. So you don’t do the big tall splash panels like you might in print. And you have to think about how the action moves and leaves off with half the page you’re used to. As for the more involved stuff- at first all we knew for certain is that the sound effects would be separated into their own panels to mimic the tv show, and then we had to improvise after that. Jonathan Case established a lot of how its done, since he was drawing digitally and knew what would make more of an experience for the reader while keeping it fast for himself. We figured out really quickly that we didn’t want to do things that essentially made it limited animation, because then you’re expecting animation. Really we’re trying to put in more story beats. Jonathan did neat stuff like color shifts on the swipe, things that felt stylistically like the show and made turning the page fun, because you got more ‘reveals’ as you read. That’s the only way I think I could phrase what you have to do in this kind of storytelling, there’s no one approach that will work for all books. When I’m writing panel descriptions, I make lots of suggestions of ways a panel can be used to get more beats out of the moment, especially when it would involve adding or subtracting layers to a photoshop file. McHugh: It is amazing how many differences there are between the two formats. Thank you for sharing your insight. And thanks again for giving me some of your time. I know I am new to this whole thing, but you made my first attempt feel pretty smooth. I look forward to reading your work in the future. It was an extreme pleasure to get the chance to have this conversation with Jeff Parker. He gave up some of his valuable time to do this interview, and that means a lot to us at Once Upon A Longbox. 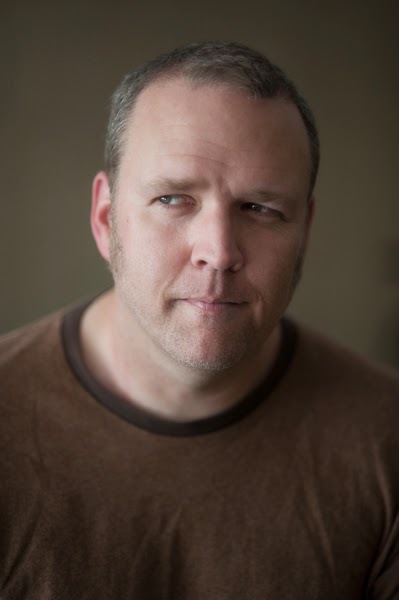 Jeff Parker is currently writing Batman 66, Aquaman, and Flash Gordon. But if you want to read more from him I suggest checking out his run on Thunderbolts (#138-174), Red She-Hulk. 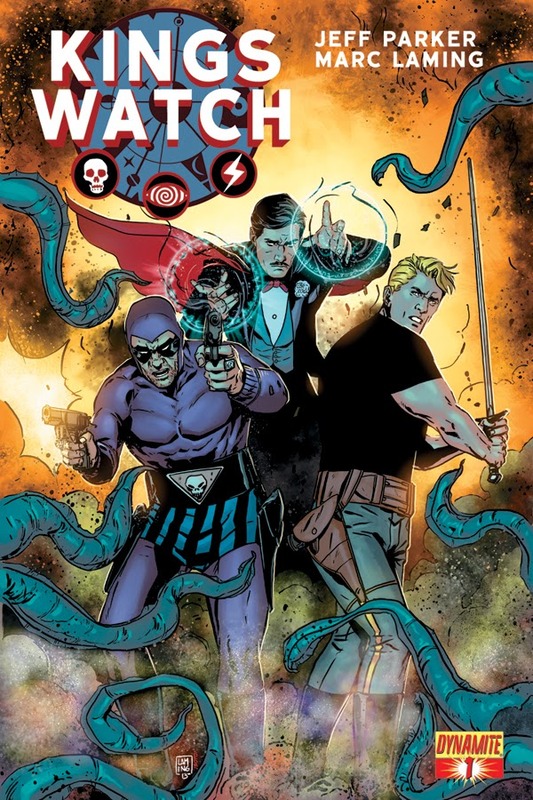 And if you are into the pulp heroes of the past then I highly suggest King’s Watch, which is the lead up to his current Flash Gordon run. As always. Thank you for visiting Once Upon A Longbox. If you have any comments or suggestions please leave them in the comments section. And don’t forget. Keep reading comic fans.